Personalized Family Photo Calendar Template – Starry Sky Background. A make a great holiday gift for Christmas and New Years Eve. Make your own wall calendar! 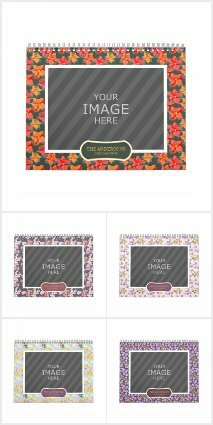 Personalize it using your favorite family, holiday, wedding or other favorite photos with this calendar. Likewise, this personalized wall calendar allows you to add text to each page, replace background images etc. Choose calendar start date (year and month), culture and holiday options! In conclusion, this makes this calendar available for many countries, languages and cultures! Printed on sturdy high-quality paper with vibrant full-color, full-bleed printing. Choose from 16 unique grid styles, 21 language & culture styles and 4 holiday & event templates. Pick your own year, start and end dates, and calendar length. Wire binding available 7 different colors. Perfect holiday gift for family members!